Our Story - "Tailored Automotive Solutions, made easy." RubberTree is an online automotive accessories store with a difference - we don't stock generic, cheap parts that anyone can get, rather we provide and in many cases manufacture to order, tailored automotive solutions specifically for your vehicle. Parts that are designed for your vehicle look better, function better, and protect the value of your prized asset. RubberTree was founded in early 2009, and to this day remains proudly 100% New Zealand Owned and Operated. From humble beginnings, the business was founded on the core capability of manufacturing bespoke, tailor made car mats to give customers more choice and more value. RubberTree set out with the aim to give every driver safe, made to fit custom mats for their vehicle. 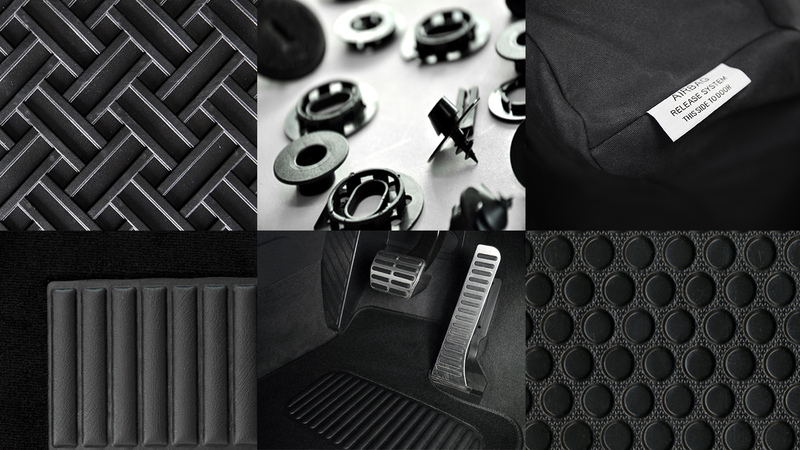 We now have the capability to cater for more than 1,600 models of vehicles across our Carpet and Rubber car mat ranges. We are constantly adding more makes and models to our range - if you don't see your make and model of vehicle here, or you're unsure if we have your specific vehicle, please get in touch and we can help you. Custom Ute Accessories are available for all major models of Ute in New Zealand. Our aim is to provide you with the easiest and most cost effective way to buy Ute accessories specifically designed to fit your vehicle. All of our Ute Accessories come with FREE shipping New Zealand wide and a minimum 12 month warranty. Boot Liners are made to order by RubberTree and are now available for hundreds of individual models. Our rubber boot liners fit the exact shape of your vehicle's boot, come with a complete 2 year warranty. Car Seat Covers are available in both a tailored and Universal option for hundreds of vehicles. We are a company built on the foundations of many small Kiwi businesses - we strive to continue to innovate and grow, while keeping our customers at the heart of everything that we do. You can watch this space as we are excited to continue bringing you more quality, customised products that are tailored to your individual vehicle while improving safety and how your vehicle looks on the road! Got more questions or want to chat? Get in Touch with us here or give us a call in our Auckland office on 0800 200 021.